للمسافرين الذين يرغبون أن يعيشوا كل ما تقدمه المدينة، موتيل ساوث تراس هو الخيار الأمثل. يمكن من هنا للضيوف الاستمتاع بسهولة الوصول إلى كل ما تقدمه هذه المدينة النابضة بالحياة. يضفي محيط الفندق اللطيف وقربه من أكثر المعالم السياحية جذبًا سحرًا خاصًا على هذا الفندق. كما يقدم موتيل ساوث تراس الكثير من الخدمات لإغناء رحلتك في المدينة. يمكن الاستمتاع بمجموعة من الخدمات على أعلى المستويات في الفندق كمثل واي فاي مجاني في جميع الغرف, مكتب استقبال 24 ساعة, مرافق مخصصة لذوي الاحتياجات الخاصة, موقف سيارات, خدمة غرف. لقد جهزت هذه الإقامة الفندقية بعناية فائقة لتوفر مستوى عالي من الراحة. في بعض الغرف يجد النزيل شاي مجاني, مناشف, قهوة فورية مجانية, بياضات, كاشف دخان. إن مسبح خارجي هو المكان الأمثل في الفندق للاسترخاء وتفريغ طاقتك بعد نهار طويل. مهما كانت أسبابك لزيارة المدينة، فإن موتيل ساوث تراس هو الخيار الأفضل لإقامة مثيرة وممتعة. مسموح اصطحاب الحيوانات الأليفة لقاء رسم إضافي بقيمة 15AUD في الليلة عن كل حيوان. This property was earmarked for redevelopment, so I doubt it will still be there when we go back to Adelaide. However, we loved our stay there. It was reasonably priced. OK, it's looking pretty tired and they obviously don't intend to spend money on it, but it was clean and in the perfect position for sightseeing around Adelaide. Do hope if they replace it with another hotel that it won't be priced through the roof. The shower is very old making lots of Noice. Bed very very old worn off. Curtain out off dare. I stay here often when I need a bed in Adelaide (I live in rural SA and often need to stay overnight in the city). 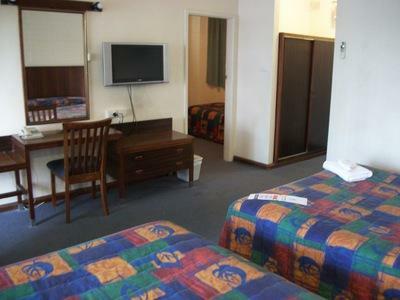 It is a basic & comfortable motel & for me ideally located on South Tce. It's a short walk to catch either bus or tram. It's close to St Andrew's Hospital where I'm an out-patient. The winning factor is the price given its CBD location. I've never eaten here so I have no idea about the quality of the dining/breakfast experience. They have tea/coffee facilities in the room and an ironing board. Yes it's very basic but perfect for my over-night needs. The room was big for two people. Bathroom upgraded=clean, Shower not stinky bath=extremely good. Location is excellent, on foot or wheels. However, car park get filled quickly. My only gripe, the air cond unit. It's too knackered and it shows; hence almost all the rooms (all GF units i lived in, at least) are chilly during winter, toasty warm during summer. I really wished they were the other way around. Other than that it's an all rounder in a perfect location. we are very happy with the holel services. the rooms are clean and spacious. we faced some small facilities problem, but they were fixed quickly. next to the south terrace road, easy to get public transport such as taxi, public bus and etc. the hotel area is safe for the hotel guests even it is at the open area. just short stay, room with everything, small but enough. 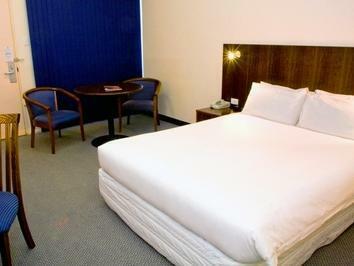 Just simple & chep, room is old, facilities are limited, smell on the room, but ok for just a short stay. Staff are nice. We have stayed here a number of times and was quite good. This time the room had a very peculiar odour. We were not told in advance that Christmas Pagaent would affect exiting car park. We enquired ourselves and were told exit would be blocked from 5am until 3pm and we should park sonewhere else. My husband had a knee op the day before and walking was diffucult so parking somewhere else was not an option. We had to get up at 4am to travel 500 to our home in Cowell so such an early start was very inconvenient after operation and lack of a good sleep for driver. Won't stay there again. Nice, clean and affordable! Will definitely be back here! Not fancy, but for a cheap place close to the city to sleep for 1 night it is fine. Not great, not bad...just fine. Cheap accommodation near the center of Adelaide. Good size room and location which is not far from CBD,big park straight cross the road. Good to access everywhere we want to go. Restaurants are around the corner for you to choose. Personally I love the Thai Chef restaurant there, they have beautiful food come with big portion,really value for money as well. 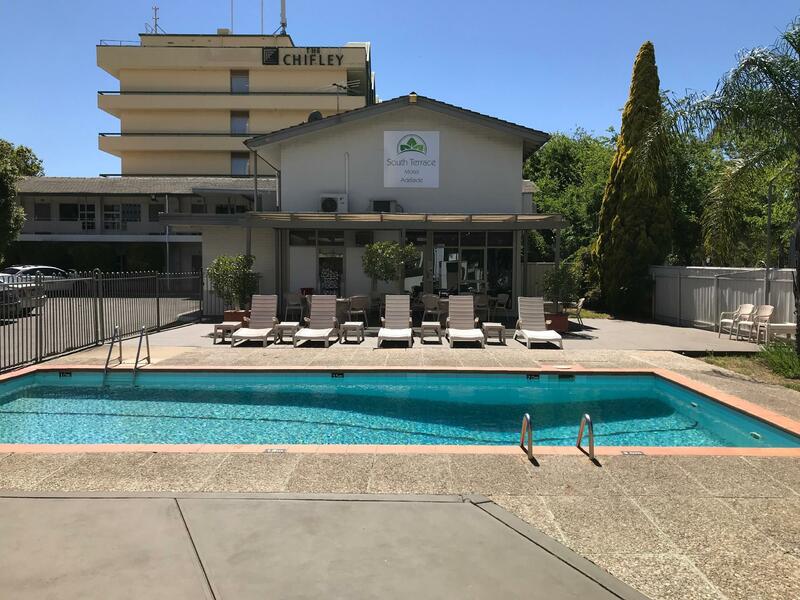 The accommodation is old,but they dont charge you heaps either,so dont get wrong expectations if you are after fancy hotel,go to Sage hotel or Chiefly hotel next door or somewhere else. Pros: with 2 young boys being opposite a hugr playground was great. Great location in cbd. Were given option to upgrade to the sage hotel (should have taken offer for more comfortable room) Cons: outdated (hotel is being demolished ) wifi was not working dure to low singnals. Would stay again as we only used the room for sleeping wouldn't recommend this for people who want to spend lots of time in the room. There were a few small issues, but in terms of value for money in a CBD location you could not beat it - the site is destined for redevelopment and was difficult to find as the Country Comfort signs were hidden. Reception was next door at another hotel, there was not kettle in the room when I checked in, my door key initially did not work - but there were fixed quickly and willingly by the staff. 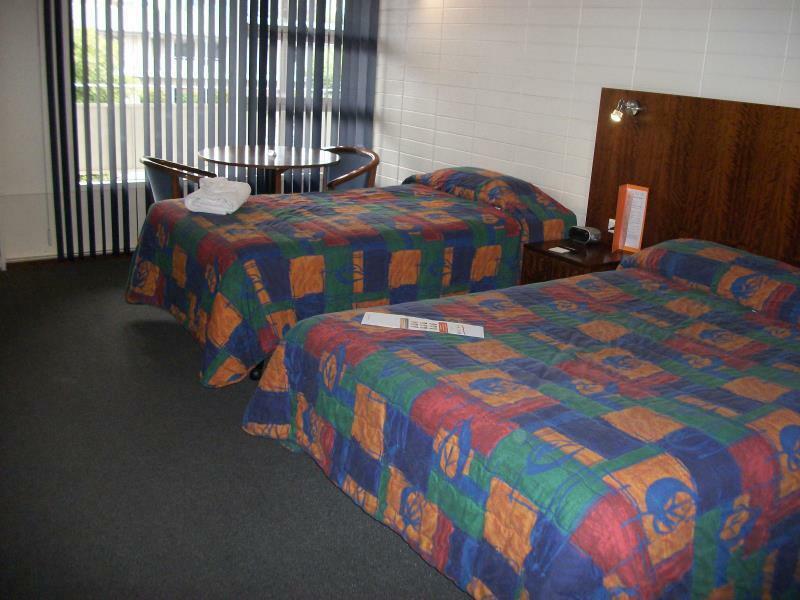 The room was clean and comfortable, parking available, and access to city and suburbs was easy. 8.5/10. My wife and I stayed 5 nights in the Country Comfort Hotel. The hotel is situation in a rather quiet part of Adelaide but you can pretty much walk to the nearest tram station - about 3-5 mins walk. We were pleased with the cleanliness of the hotel and you get your bucks' worth staying here. Room amentities also TV reception limited,bed was quite uncomfortable resulting in a restless night.In general the room and facilties had a worn out appearance and our impression was of disappointment. A pleasant stay in the parklands to the south of Adelaide, within walking distance of most of this small city. The hotel is the cheapest option of it & 2 others adjacent - all run by the same company. A fine place to sleep, however, we had a room at the top of the external staircase that gave all comers an excellent view straight into our room. Having to keep the blinds firmly closed is a bit constricting. Our advice would be to definitely book this hotel byt request a room that is well away from the staircase.